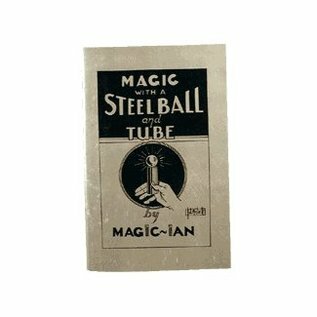 A newly revised and updated book describing all the new routines you can do with the underrated steel ball and tube effect. After learning the effects in this book, you can even fool people who own the trick! Basic effect. A steel ball resting on a metal tube slowly descends into the tube and emerges again.all can be passed out for examination. 31 pages.